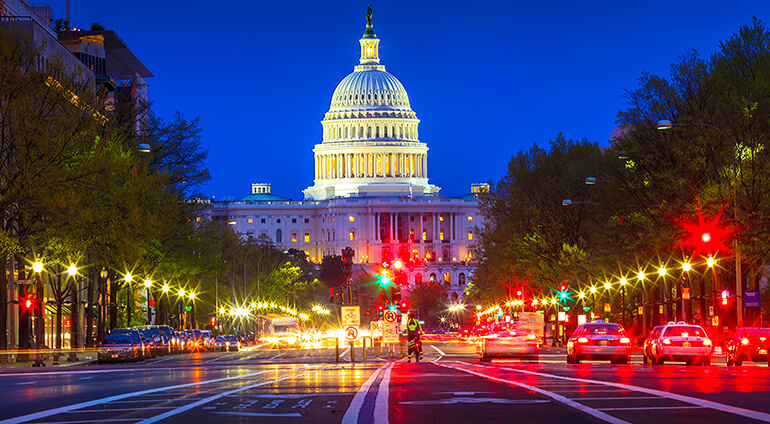 While some flights land at Ronald Reagan Washington National Airport close to the city centre, most arrive at Washington Dulles (26 miles south), or Baltimore-Washington International (35 miles north-east). The latter two are both served by Super Shuttle transfer services which will take you into the centre and taxis are also available. Aside from walking, once you’ve arrived one of the best options to get around the city is the DC Metro, which is a cheap and efficient way to get to most of the key destinations (although it doesn’t stop at Georgetown). The DC Circulator bus covers some areas not on the Metro and as it can be hard to hail a taxi, it’s best to have a cab firm number to call if needed.